On November 29 we completed acquisition and creation of a matched set of social media assets. They are listed here with a brief comment about their purpose. First and foremost is this website using a dedicated, custom domain name for The US 89 Team. This website will be a central hub which anchors all of the other social media assets and online resources currently in use and yet to come. 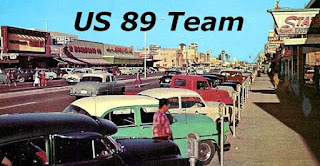 Second is the US 89 Team email address: us89team@gmail.com. It matches the website domain. The Facebook will allow us to publish very short vignettes highlighting various aspects of US 89. Next we have the Twitter account which also now has a matching user name: https://twitter.com/US89Team The Twitter is going to be slow to catch on but will be useful. 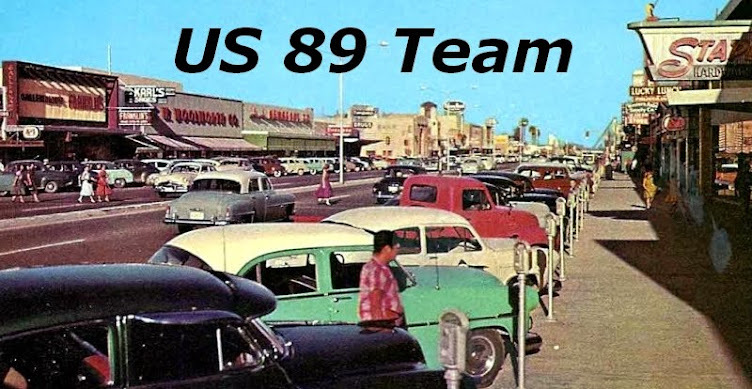 We plan to create a US 89 Team Store; a blog to showcase US 89 Team Members and a US 89 History blog. Undoubtedly, others will be created as the need & inspiration arises. 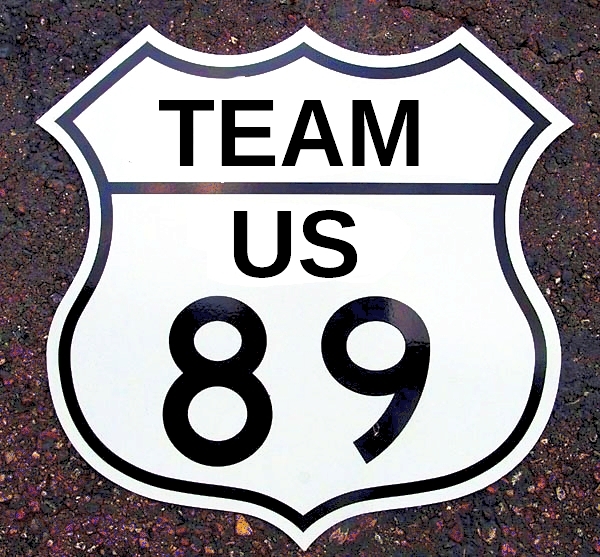 November 28 marked the debut of the Team US 89 logo as well as the purchase of the US 89 Team domain name. We envision this website to be a place where The Team gets together to share ideas, collaborate and make plans for future academic and field research projects and activities.